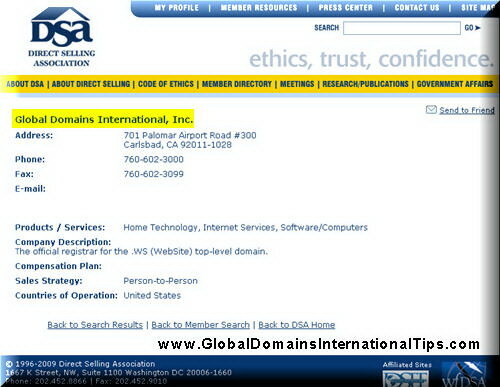 Global Domains International has just released a new Contact Inviter 2.0 ! Now, sending Invitations Just Got a Whole Lot Easier! We have just received a special email message from Bart Dangerfield, VP of Affiliate Relations and Marketing at Global Domains International Inc. And is excited to share this news with you…. Last month, the GDI programming staff added a powerful new tool to the GDI Member’s Area. Have you seen it yet? It’s called “Contact Inviter 2.0″ and it makes connecting with your existing contacts even easier. 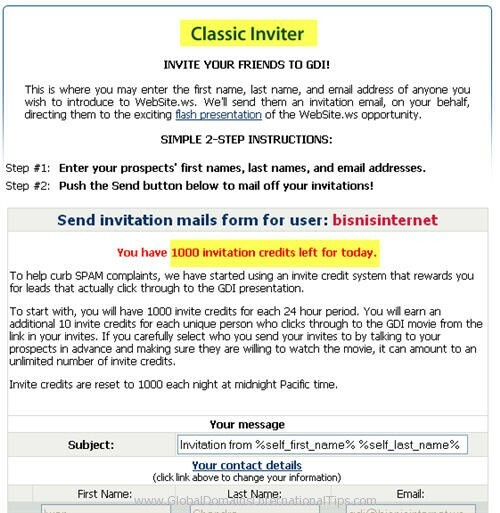 Formerly, the original inviter system required you to enter the first name, last name, and email address of every person you would like to invite to view your 7-minute GDI promotional presentation. This also customized the presentation for the person who was viewing the site. Now, with the new Contact Inviter 2.0, you can automatically retrieve existing contacts you might already have stored in your online address book or friend lists with other online websites you’re a member of. Retrieve Your Contacts” button and follow the directions. 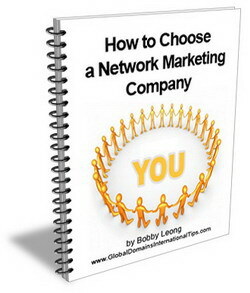 You’ll be able to select from an extensive list of online email providers and social networks where you may currently have an account such as. AOL, MobileMe or Email.It. Click on the logo of the service you want to retrieve your information from, enter your login information for that account, and the system pulls in the contact information you have stored there and enters it for you in the new inviter form. You simply need to import, review which contacts you’d like to send to (and you even have the ability to make edits before the invitation is sent), and click “Send!” That’s it! The system automatically makes the contact for you. Plus, there’s also a handy “Statistics Information” link to show you how many have accepted your invitation and viewed your online presentation. If you would like some “hands on” training for effectively using the new Contact Inviter 2.0, go to our webinar archive site and check out the recordings of our February 2nd and February 9th webinars. During these two presentations, we gave our webinar listeners an advance look at the time-saving benefits of the new Contact Inviter 2.0 and how each feature works with your existing online resources. 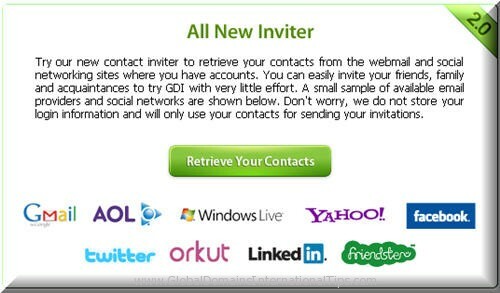 For example, the Contact Inviter 2.0 can go out and retrieve names and email addresses in your Gmail and Yahoo! accounts and send a direct invitation via email, while the Facebook option simply posts a link on your Facebook page. To learn more specifics, just go to the webinars page above and look for the “2010-02-02″ and “2010-02-09″ webinar videos! Live QA” session immediately after the webinar where you can ask our GDI experts your most pressing questions directly. If you haven’t already registered for the webinar series, be sure to do so by clicking on the link in the front page of your Member’s Area. JUST ANNOUNCED! The Contact Inviter 2.0 has just been made available for NEW PEOPLE to use as they sign up for their domains with GDI. 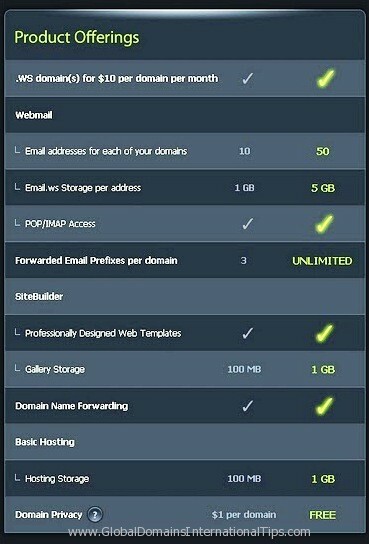 Make sure all your new people know to take full advantage of this ability as a great way to tell the world about their new .WS domain! Apart from the Contact Inviter 2.0, you may also use the Classic Inviter as shown below to invite as many people to watch the GDI presentation as possible.